Yesterday I was going through one of my watch boxes, checking to see if any were in need of replacement batteries (many are due) and for any significant loss or gain of time. I got a little surprise. As I pick each one out in turn, I habitually test the chrono' functions, just to make sure everything is still working OK. Remember, some of these might not see the light of day for 6 months at a time. I pressed the chronograph start / stop pusher (Button B @ 2 o'clock). Nothing happened - or at least not as far as the chrono' hands were concerned. Not so much as a twitch from any of them. But then I noticed that the constant seconds sub-dial hand had stopped 'ticking'. So out of curiosity, I pressed the chronograph reset pusher (Button C @ 4 o'clock). 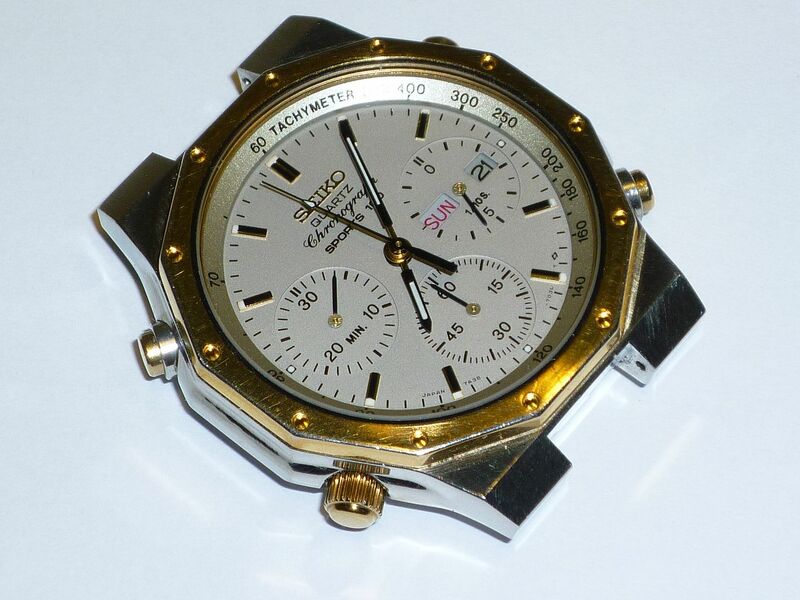 Nothing happened with the chrono' hands but the constant seconds hand started up straight away. I repeated the process. Exactly the same. I then tried it again, pressing the chrono' start / stop pusher a second time (to stop it). That made no difference. 'Time' stood still until I pressed the reset pusher. Next step, I tried the chronograph self-test - holding in Button C for two seconds. All three chronograph hands completed a full revolution and returned to their marks. While these hands were rotating, the contant second hand carried on merrily ticking away. I should add that the battery was last replaced a couple of years ago, but appears to be in good health. To make sure I wasn't going daft - and as an aide memoire before writing this post, I repeated the process. Same results. Presuming I get some time at the weekend, I'm going to do a quick strip down to see if I can find a cause. In the meantime, anybody else like to hazard a guess ? Just had another thought - it might possibly be a setting lever problem. So I pulled out the crown to the first 'click' setting position. The sweep second hand can be advanced by pressing Button C (@ 4 o'clock) either by holding it in or in single one-second 'clicks'. 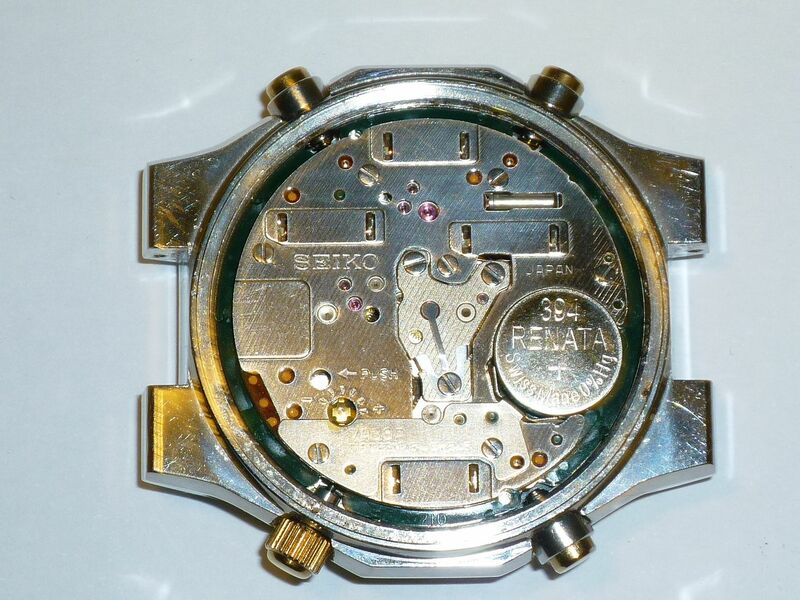 However Buttons A and B do not advance the 30 minute counting or 1/10 second chrono' sub-dial hands - at all. Yet all three pushers seem reasonably 'clicky' - indeed feel very much the same. Nobody prepared to have a guess at a diagnosis ? 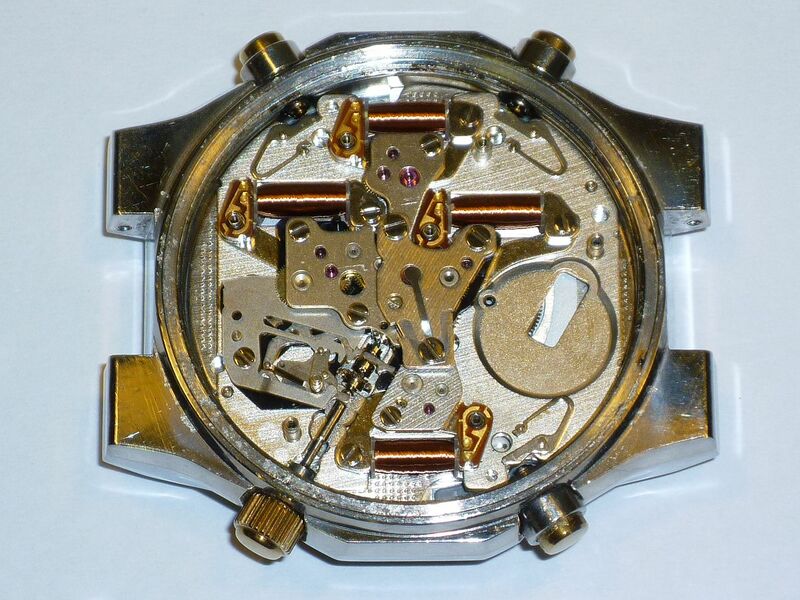 Because what this watch was suffering from can only be described as prolonged neglect on my part. I'd bought it three or four years ago. 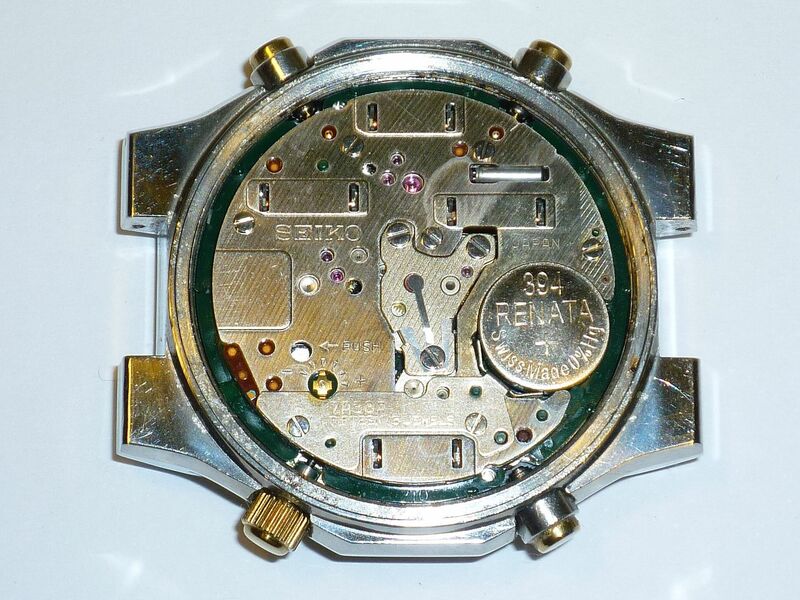 I know that I'd replaced the crystal (Sternkreuz MSM310); removed cleaned and greased the pushers, fitted a new battery (Renata # 394) and lightly skimmed and polished the case-back to remove some slipped removal tool marks. I know that when I'd put it away that everything was working properly too. 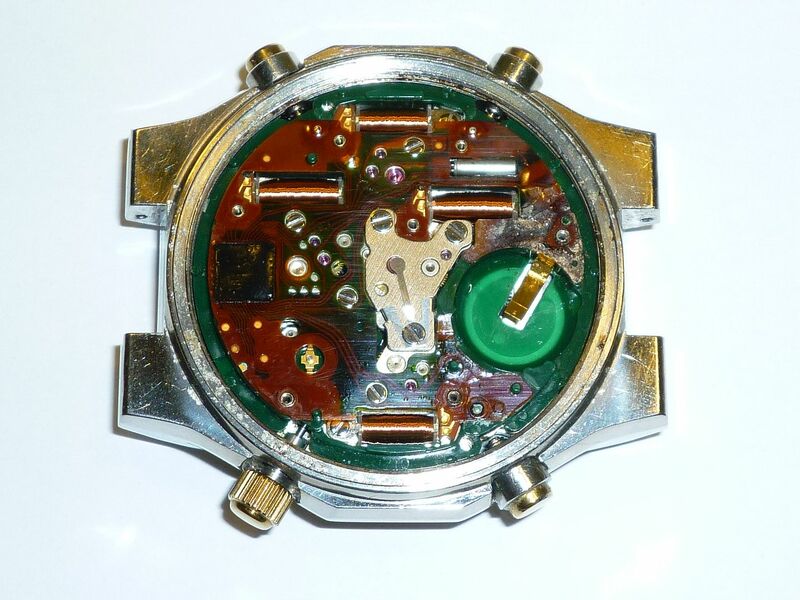 What I'd forgotten was that as the time, I'd chosen to ignore the staining on the movement backplate which showed evidence of prior battery leakage. 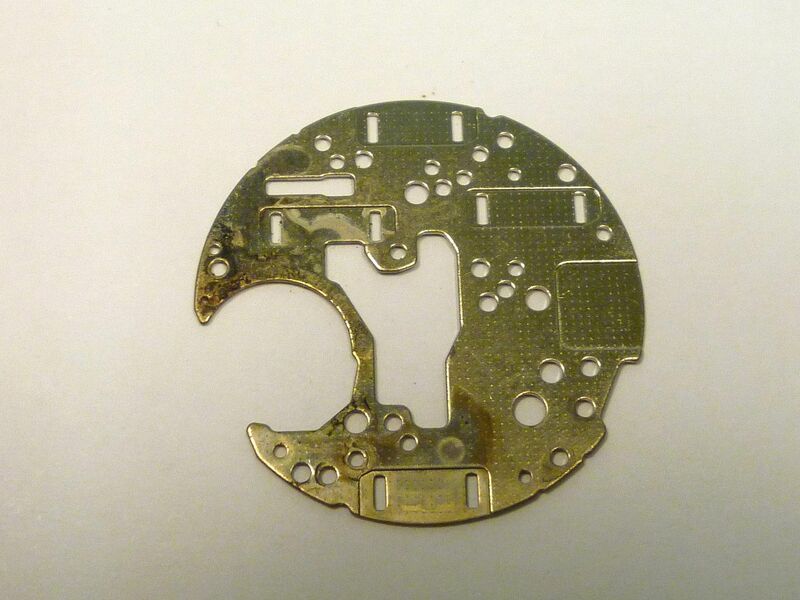 All this time, it had been hiding a PCB which had clearly been badly damaged by a previous leakage of battery acid. At that point my camera battery went flat, so I put it on charge overnight. Here's the watch ticking away merrily this morning - with the chrono' running - all fully functional again. I'm not sure. 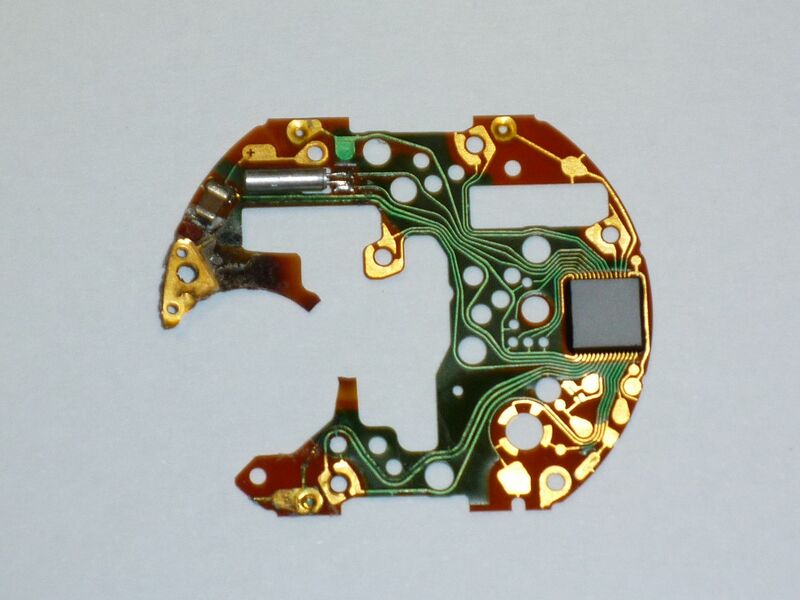 Had I stripped it down when I bought it, that PCB probably wouldn't have looked much different. 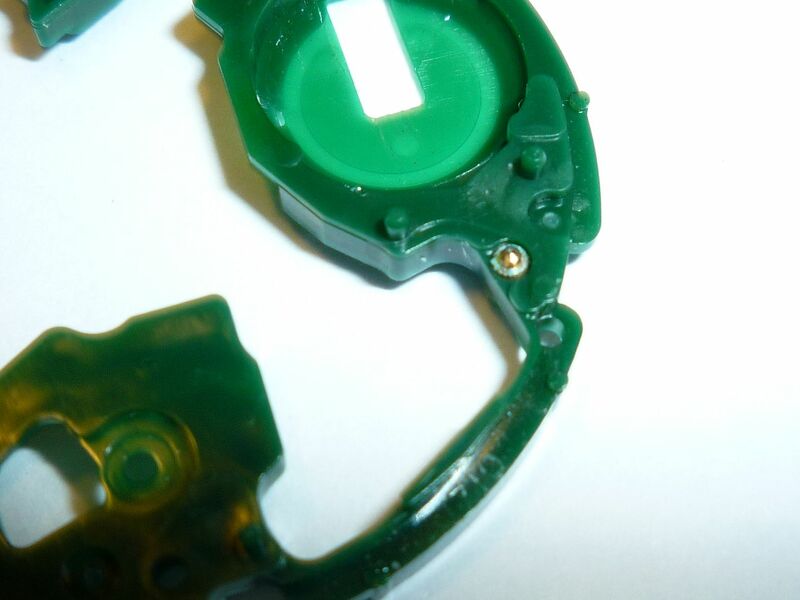 The German eBay seller had obviously cleaned up most of the visible evidence of the prior battery leakage. 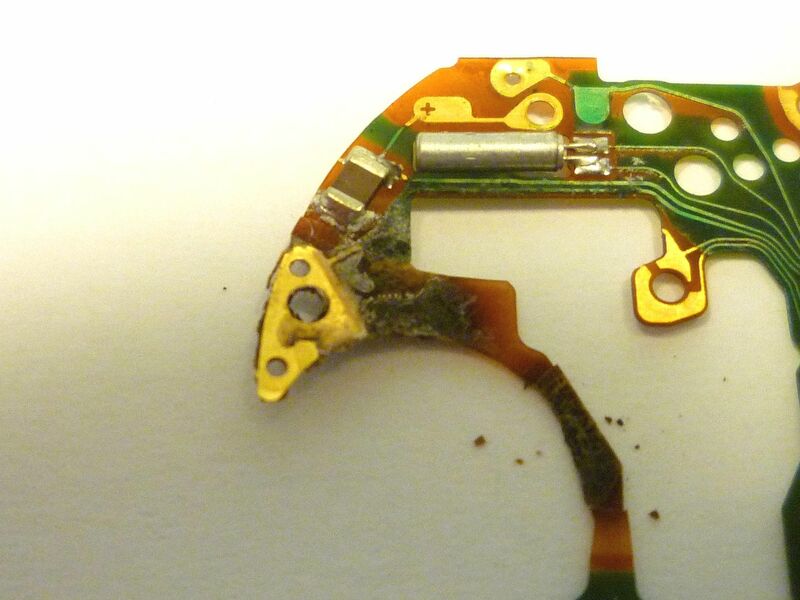 Whether I could have saved that PCB from further degradation is a moot point, but it's clear that corrosion did continue afterwards, to a point where sufficient internal resistance built up and / or short circuits occurred, to the detriment of it's functionality. It's a good feeling to get them up and running again, good job, and good pictures, is it now going back in the drawer again?